UNIVERSITY PARK, Pa. — An intensive public debate is occurring in states with competitive electricity markets about the future of their existing nuclear generation plants. A team of Penn State researchers examined the set of studies that has been used in legislative discussions to provide evidence in support of subsidy programs. With the fall of natural gas prices since 2014, electricity prices have correspondingly decreased and some nuclear plant operators in the Northeast and mid-Atlantic are no longer profitable, with some announcing retirements ahead of their originally scheduled decommissioning. Several states, including Illinois, New Jersey and New York, have created programs to subsidize their nuclear plants, and other states, including Pennsylvania, have considered similar programs. To inform the public debate in the Northeastern and mid-Atlantic states about subsidies for financially distressed nuclear plants, the team of researchers analyzed previously released reports and offered a critical assessment from the perspective of economic theory and engineering fundamentals. In their report, “Analysis of State Policy Interactions with Electricity Markets in the Context of Uneconomic Existing Resources: A Critical Assessment of the Literature,” the researchers drew on economic theory to question the assumptions and findings in other studies. Their findings caution lawmakers that the benefits of a subsidy could be much less and the costs could be much higher than the other analyses suggested. The findings from the study have are already starting to inform policy decisions. The report has been cited in testimony before the Pennsylvania Nuclear Caucus and in a filing by PJM Interconnection before the Federal Energy Regulatory Commission related to the wholesale power markets run by PJM. “I do hope that it gets policymakers to ask more questions and demand better information and analysis before they make decisions that impact electricity costs for all of us, for years to come,” said Seth Blumsack, professor of energy policy and economics and international affairs at Penn State. “As someone who is deeply concerned about reducing the impact of electric power supplies on our air, water and climate, I naturally want to see more investments made that will reduce those impacts without affecting the reliability of the power grid. But there are more and less expensive ways to achieve this goal. Other collaborators include Chiara Lo Prete, assistant professor of energy economics in the John and Willie Leone Family Department of Energy and Mineral Engineering, and Uday Shanbhag, the Gary and Sheila Bello Chair and Professor of Industrial Engineering. 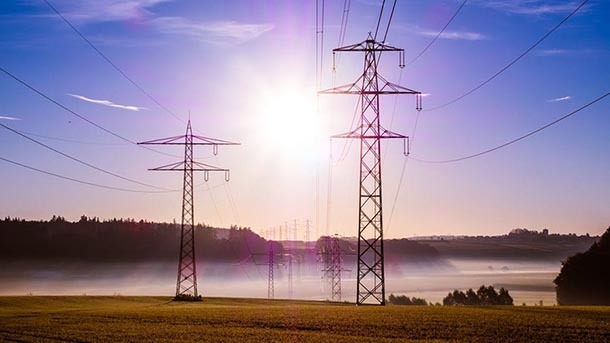 Funding for the report came from PJM Interconnection LLC, which is the regional transmission organization responsible for the power transmission grid in all or parts of 13 states and the District of Colombia. Pennsylvania lies nearly entirely within PJM’s operational footprint. Read the report online at www.eme.psu.edu/content/report-penn-state-researchers-offers-critical-view-existing-studies-state-subsidies.